Such a momentous selection could not be taken lightly, and we should not pass over it either. Luke gives us further information: “He went out into a mountain to pray, and continued all night in prayer to God” (Luke 6:12) before choosing the twelve. As a sidelight, it bears mentioning that if God the Son so relied on the wisdom from God the Father before making an important decision, how can we neglect prayer as we so often do? Four purposes are listed for these appointees, but the last three flow from the first: “That they should be with him.” They would see Him in action, learn truth from Him, assist Him in His work; but most importantly they would see His character and habits, and would never be the same. Part of their training included being sent out to put in practice what they had learned, “that he might send them forth to preach, and to have power to heal sicknesses, and to cast out devils” (Mark 3:14-15). He gave them a message to preach and the ability to authenticate that message. 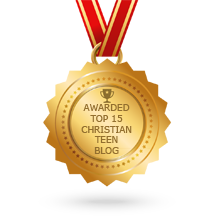 This entry was posted in A CLICK A BLESSING TODAY, CHRISTIAN NUGGETS and tagged The Call of the Twelve. Bookmark the permalink.